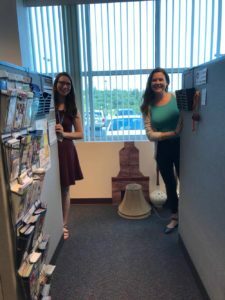 My name is Ashley Tobeck, left in the photo, and I’m an AmeriCorps VISTA serving as an Opioid Harm Reduction Coordinator at Yavapai County Community Health Services (YCCHS). My position addresses the abuse of opioids in Yavapai County, as well as finding ways to de crease the rate of opioid overdose through community outreach, distribution of naloxone and Deterra bags, and implementing harm reduction strategies. The demographics of Yavapai County that are the most susceptible to opioid prescription drug abuse are caucasians and veterans. 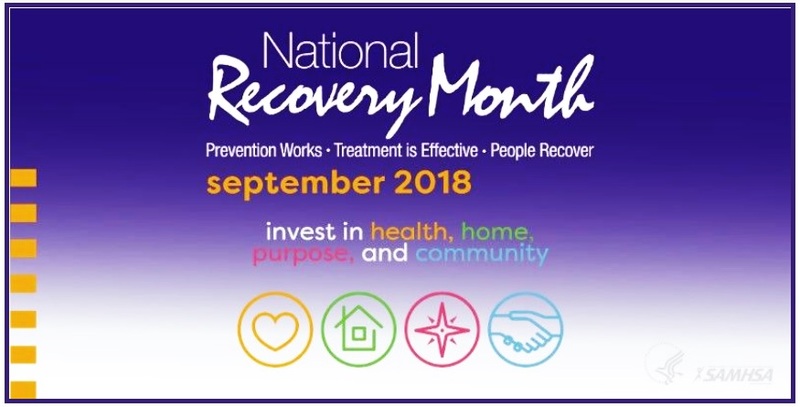 On September 15th, I attended a local event to support National Recovery Month. This event provided me with a chance to experience outreach with the population that my position is focusing on this year. At the event, I handed out intramuscular naloxone kits, (which is an opioid reversal), to the community in the case that they, or someone they know is experiencing an opioid overdose. Naloxone blocks the opioid receptors in the brain, and brings someone back to life by restoring their breathing. In addition to naloxone kits, I handed out Deterra bags; which are a way to dispose of any prescription drugs by placing the prescription in the package provided, adding some tap water, zipping it, shaking the mixture, and throwing it in the trash. The prescription drugs then become a carbon block that prevents anyone else who wasn’t prescribed the medication from having access. At the event, I also spoke to people who have previously been in recovery, parents whose children have been addicted to opioids, and even locals who had no idea that opioid abuse has become a problem in Yavapai County. Anyone can be abusing opioids; from a roommate, to a family member, or a more recent trend of those living alone. The amount of opioid overdoses in Arizona are increasing rapidly, and due to this issue, every lay person can carry a naloxone kit in the case that they are around someone overdosing. The Good Samaritan Law also plays a large role in the acceptance towards naloxone kits. This law says that if one person overdoses, and a bystander has a naloxone kit; the bystander can call 911, give the naloxone, and not be criminally charged for providing medication to save a life. Addiction is a disease, and there are many genetic, as well as environmental factors that can contribute to opioid abuse. For my year of service, I want to change the negative stigma towards addiction, and implement harm reduction strategies in Yavapai County.